The introduction to the reading of the lesson before the afternoon prayer on the Sabbath. Among the Ashkenazim it is chanted by the ḥazzan to the prayer-motive of the service (see Music, Synagogal) like U-Ba le-Ẓiyyon, which it follows in the German ritual. 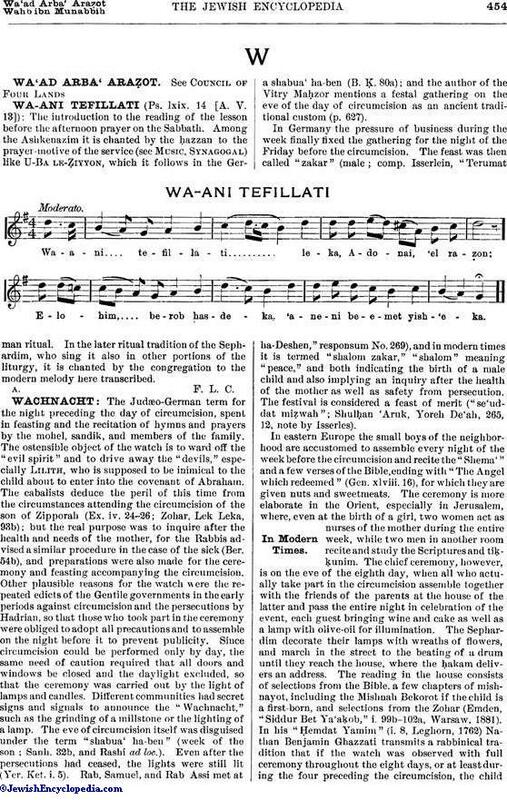 In the later ritual tradition of the Sephardim, who sing it also in other portions of the liturgy, it is chanted by the congregation to the modern melody here transcribed.